Our nurses are standing by to answer any of your health-related questions. 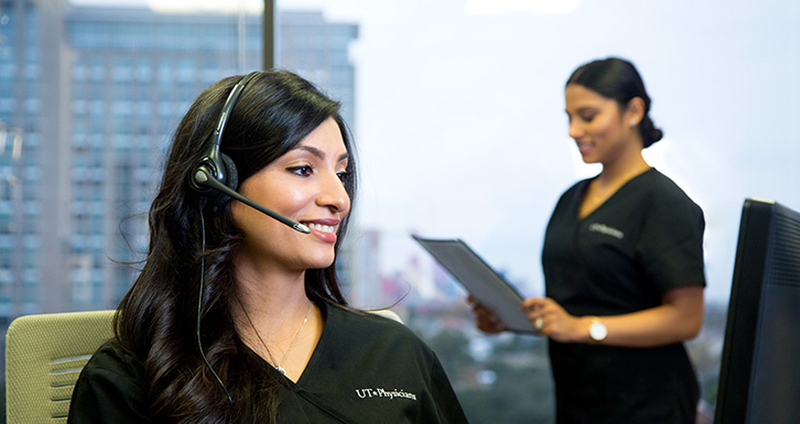 UT Physicians has a nurse advice line available 24 hours a day, 7 days a week. Registered nurses from a diverse background of medical specialties staff this multi-lingual advice line. They are ready to answer questions you may have about medical problems, medications, and treatments for you and your family. Our nurses can even contact your pharmacist or physician. Give us a call at 713-486-UTRN (8876)!.